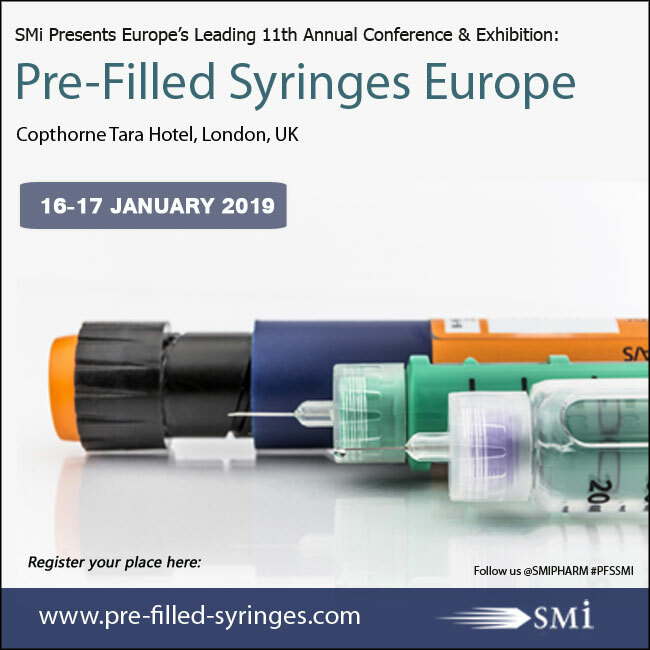 SMi is proud to present their 11th leading annual european conference and exhibition, within the Pre-Filled Syringes series: Pre-Filled Syringes & Injectable Drug Devices Europe. The event will take place on the 16th-17th of January 2019, in London. This year’s programme will offer a deep insight into key areas within the field, such as: new technologies and overcoming their hurdles to implementation; connectivity for devices; updates on drug development and its impact on device development and new regulatory guidelines. Join us in January 2019 to network, benchmark and learn about developments at the forefront of the Pre-Filled Syringes and Injectable Drug Devices industry. Register for your early bird discount here and save £400 before 28th September. For those looking to attend there is currently a £400 early bird saving, for a limited time only.